I want to express my deepest gratitude to my clients. It is a major act of courage to go to therapy. One that many people experience intense feelings of shame about. If there was one thing I’d want to tell someone on the fence about seeking help it would be how you can feel after showing up and doing this work faithfully. I’ve often heard from clients I’ve concluded working with is that they wish they did this earlier. For those clients who have gone a step further and wrote a review or referred another person, not only am I extremely grateful, but you may have given another person permission to start their own journey. In some cases that’s actually life saving! This work is not easy. Sometimes it is slow, painful, and soul-rending. But the rewards can be deeper levels of love, stronger connections with loved ones, and for many it’s learning how to stand up for one’s self when the idea of doing so was driven out of them at a young age. For others, they may have been traumatized so badly the idea that life could get better or change in a substantial way seems as if it’s pure fantasy. 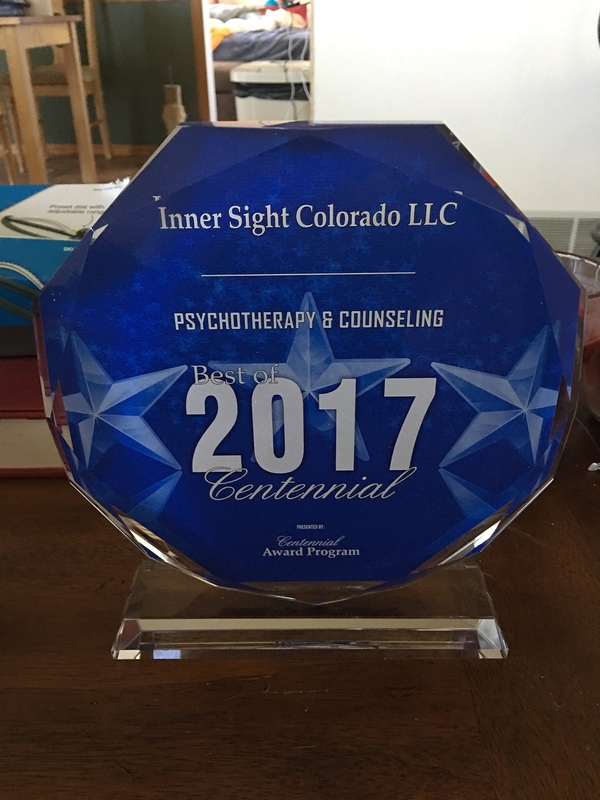 Recently I was awarded Best Psychotherapy and Counseling Practice in the city of Centennial for 2017. This would not be possible had several clients of mine not taken the leap of faith to trust me to work with them. When I think of the first few years and the struggle to earn people’s faith it took in establishing this therapy practice versus now, it’s been a hell of a journey. So cheers to you all and for the new people considering trying this I look forward to continue to serve you to the best of my ability.